It was 2013 and I was in my third year in the university. I had gone to the Obafemi Awolowo University staff quarters to spend the weekend with my uncle; an Associate Professor at the Department of Local Government Studies. As is usual practice, this is the time I get to help him with typing and preparing files and documents for his classes the following week. It was this weekend I had my first contact with the ingenuity and Nigerian-pride that is the Omatek computer. As a fanboy of popular brands like Apple, Hewlett-Packard, Dell, Sony, et al, I scoffed at the unpopular name, Omatek and thought to myself ‘this is another ‘chinko’ (a term used to refer to items made in China). I was wrong. Omatek is not only a Nigerian brand, it is the first indigenous computer manufacturer in Nigeria. Last week Friday, news broke that Mrs. Florence Seriki who founded Omatek Ventures about three decades ago passed away at the Lagos State University Teaching Hospital (LUTH) after battling with cancer of the pancrease. She was 54 years. Prior to her death, Mrs. Florence was a trailblazing entrepreneur whose entrepreneurial dexterity in the technology space has put Nigeria in the eyeballs of the world long before the activities of the ‘Yabacon valley’ denizens. Omatek Ventures was the first to win the Microsoft Best Systems Builders Award 2005 for Central, West and East Africa. In 1992, she won the Young Entrepreneurship Award of the Nigerian American Chamber of Commerce, earning her the title “Africa’s Bill Gates in the Making.” Her legacy, Omatek Ventures is worth N3.5 billion naira on the Nigerian Stock Exchange with Mrs Florence controlling 52 percent of the company as stated in the company’s last released financial report. 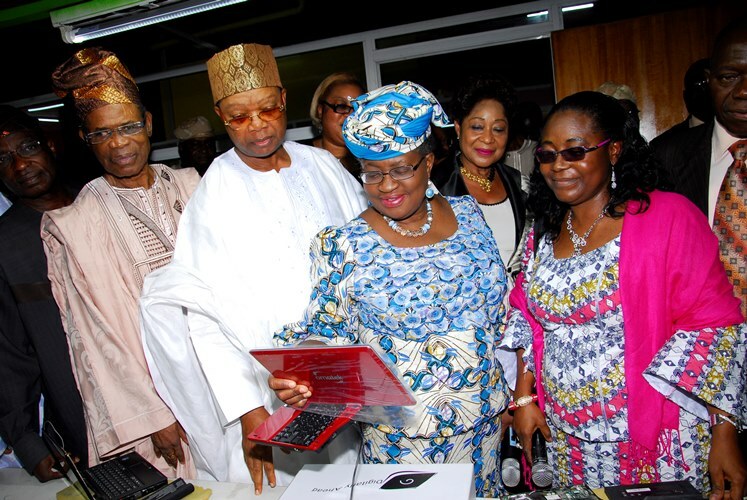 Mrs. Florence Seriki has won a good number of laurels, in recognition of her contributions to the development of Information and Communication Technology (ICT) in Nigeria and Africa at large. In recognition of her exploits, she was a recipient of one of Nigeria’s highest national honours; Member of the Federal Republic (MFR) by the Umaru Musa Yar’adua administration. The first child in the family of five girls, Florence Seriki was born in Lagos on August 16, 1963 to the Udebu family of Delta extract. She attended Reagan Memorial Baptist Secondary School, Sabo-Yaba and proceeded to the Federal School of Science, Lagos for her A levels where she emerged the best overall student in lower six form. Nearly graduating with a distinction from the University of Ife, Mrs. Florence whose entrepreneurial journey started as a computer-training programme for her boss at NNPC, once revealed in an interview she had with National Mirror, that she had to perfect her computer skills in her final year as an undergraduate when one of her lecturers returned from the United Kingdom with an old XP Windows computer. While this helped her a lot, it also rid her of a chance to graduate with distinction as she claimed she was marked down for using a personal computer instead of the recommended Fortran machine for engineering students. She graduated with a 3.8 CGPA at a time when distinction was 4.1. For some people like Florence, entrepreneurship happens inadvertently. What would later become her pot of gold started as just her desire as youth corps member at the Nigerian National Petroleum Corporation (NNPC) to train her boss on how to use computers. Seeing her abilities with the computer, her boss referred her to other colleagues, before long, she became the most sought after for computer related issues by her boss’ friends. During this period, she became known in the corporate community and got contracts to train bank executives. 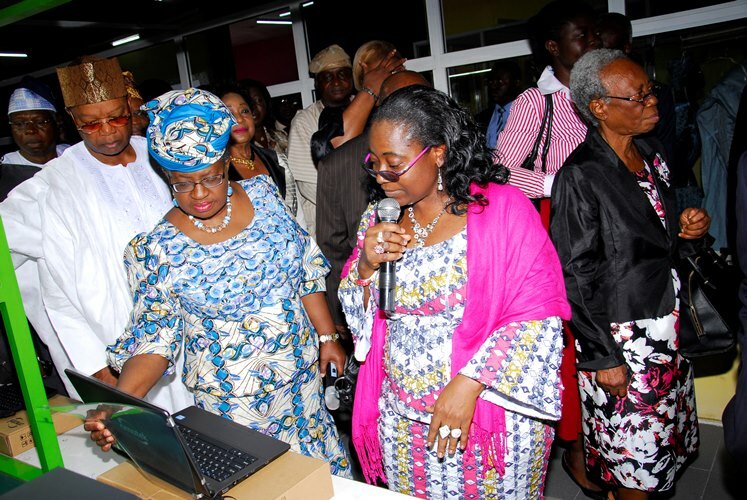 In 1988, Union Bank gave her a space in their Marina office where their executives were given computer training based on appointment. Upon completing her service year, she rented an office space in Victoria Island, where she employed and trained staff who in turn trained clients. Not long after, what started as an extracurricular activity during her service year, became a source of wealth. Being in the computer training space opened her eyes to the fact that many companies she was consulting for did not have enough computers, she started a computer vending outfit. “I realized many companies did not have enough computers. I saw an opportunity, so I started initially by buying foreign brands and selling to my customers,” she had once revealed. However, around this time (1992) major buyers of in Nigeria were banks and oil and gas companies. They were buying only finished products. The oil and gas companies were buying only from their offshore companies. Therefore, there was no opportunity for Nigerians to sell to them. Not one to be deterred by obstacles, Florence Seriki found a way to tap into the opportunity, she started a joint venture with two other Nigerians, got concessions for oil companies to do business with but were required to have offshore affiliates. Business blossomed. Doing over a million dollar in revenue, Omatek became premium partner with Compaq, Senior Partner for IBM, Apple, and Microsoft. But Florence Seriki had higher dreams and aspirations. After about 8 years operating as a computer vending company, by 2000, the idea which started far back in 1992 when the first Omatek computers were launched at the then CTO, a flagship IT seminar and exhibition event organized annually by the US Consular Office, came into being through Omatek Computers Limited, a subsidiary of Omatek Ventures. The company operated at 25 per cent capacity utilisation, rolling out, 120,000 speakers, 120,000 casings and 48,000 fully built PCs per annum. Interestingly, the Omatek factory now assembles OEM brands for other brand builders, both local and foreign. The company has also created many derived small and medium enterprises servicing the core IT industry. With over a hundred and fifty national and international awards and recognition, Omatek was named the IT Amazon of Nigeria. In 2008, it also became Nigeria’s only publicly quoted computer company with Florence Seriki listing her company on the Nigeria Stock Exchange with the aim of raising funds to consolidate their computer assembling business. With the public recognizing the pedigree of Omatek, the IPO was oversubscribed in no time, raising more money for her business. According to its 2016 financial report, the company is worth N3.5 billion naira on the Nigerian Stock Exchange. Florence Seriki through Omatek has helped to create massive Local Youth Employment/Empowerment in the technology industry and has enabled Technology Transfer and increase in Local Content. 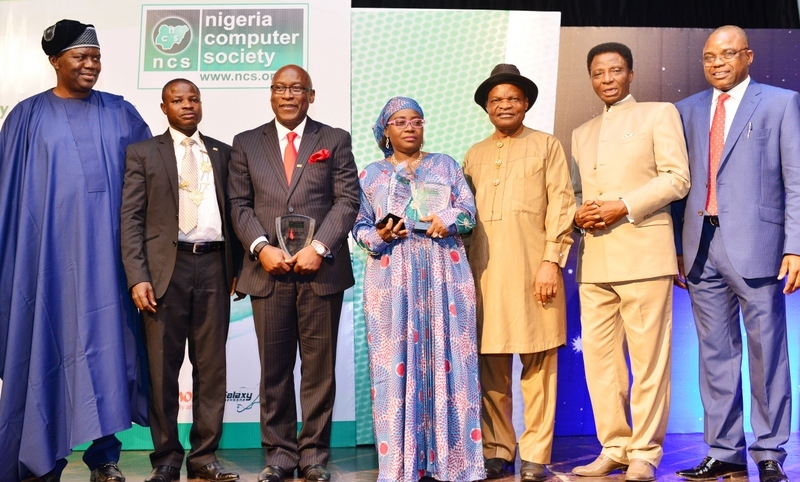 In 2015, she was recognized as the IT personality of the year during the National Information Technology Merit Awards organised by the Nigeria Computer Society (NCS). Although, Omatek started as a computer-training business, today, it consists of the following subsidiaries: Omatek Computers Limited which pioneered Completely Knocked Down (CKD) factories involved in the production of computers, Notebooks, Casings and Speakers; Omatek Engineering Services Subsidiary which offers ERP Solutions including Information Security Management. Late last year, federal government collaborated with the indigenous company to find a solution to the power issues beleaguering the nation. As a commitment to this partnership, Mrs Seriki stated that Omatek was ready to play a key role in the power provision for the country. Since the announcement of her death, encomiums have been pouring in for the business mogul with friends, well-wishers and mentees lamenting the loss of a hardworking visionary. “Florence shouldered a rare and inspiring womanhood stepping up to motivate and lift the spirits of many a teenager and adult fan of her Omatek computer and computer accessories. “In death, she looms even larger in stature and immensity to the human cause, which makes her unforgettable to her friends, business associates and family,” a sympathiser said. Her exit is a shock and a great loss to the Nigerian tech space. We do hope Omatek will continue to surpass the benchmark of excellence and dedication its matriarch is known for. First I am always extra taken when female are trail blazer in whatever capacity they may be. Saw the omatek some years back with a friend, also thought chinko but was proved wrong by the ruggedness of the PC. You are right. Succession is a serious problem here in Nigeria. One can only hope whoever the ‘Tim Cook’ is, taking over from this Nigerian Steve Jobs, does well.